The Bombay High Court has granted custody of a boy child to his father holding that a father is the natural guardian of his child. A Bench comprising Justices P V Hardas and A S Gadkari was hearing a Writ Petition filed by Amol Pawar, seeking custody of his two and a half year son who was being looked after by his maternal grandfather after the father was arrested for allegedly murdering the child's mother. The Court has ordered the custody of the child to be handed over to his biological father who was accused of murdering his wife. The Court observed that in the absence of a mother, a child's natural guardian is the father. Amol Pawar, a resident of Satara, got married in 2010. The couple were blessed with a son, Tejas, a year later. Pawar's wife died of burn injuries in 2012. An FIR was lodged by his father-in-law Ramesh Dhotre and Pawar was tried for cruelty meted out to his wife and murder. However Pawar had been acquitted in the case filed against him and no appeal had been filed by the State. The child is currently in the custody of his maternal grandfather who stays in Baramati, near Pune. The Bench has observed that the petitioner cannot be deprived of his right to obtain the custody of his minor child as he has been acquitted and he is the natural guardian of the minor child. Further, the Court said that if the respondents feel that the petitioner is disentitled to continue the custody of the minor, they may avail the remedies available in law. The Bench observed that Pawar's father-in-law, however, would be at liberty to file appropriate proceedings under the Hindu Minority and Guardianship Act for claiming custody of the child. These proceedings if they are filed by the Respondent would be decided in accordance with law. The Court while allowing the petition asked the Respondent to hand over the child to his biological father, Amol Pawar. If the child's custody was not given to his father, the bench directed the State Government and Police to help the father in getting his child's custody from his grandfather. 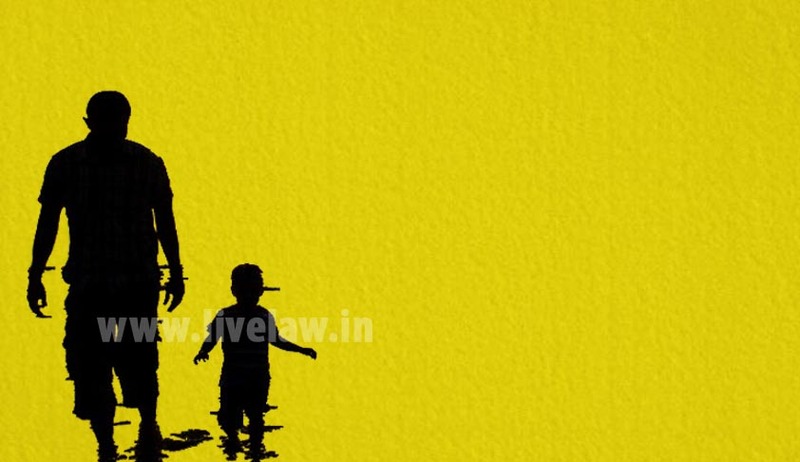 Recently, the Madurai Bench of the Madras High Court had ruled that a father has a right to give his child for adoption and that the father is the legal guardian of the child after the death of her mother. Live Law Report here.